The Visitor – It was good. I recommend it. Really, I should be working right now and can’t possibly provide a decent movie review. Oh, alright, here’s a mini-synopsis: A widower-college professor attends a conference in New York City and finds a couple (Tarek and Zainab) living in his pied-a-terre. The couple thinks they have legitimately rented the apartment from “Ivan” but they’ve been swindled. Walter (the college professor) becomes involved in their lives more closely when Tarek is picked up by the police. 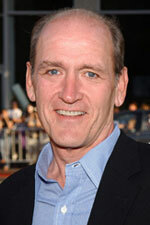 Walter is played by Richard Jenkins. He’s one of those guys that you’ve seen in MANY movies, but you don’t know his name. He does a terrific job in this picture. Proud to be from DeKalb, Illinois. But I digress. I like a movie that both tells a good story and points out some stuff that I don’t know. The Tarek character is a legitimate political refugee, but he ends up in an immigration detention center. I did know that the US has detention centers spread around the country, and I had heard that conditions there are more like Guantanamo than regular prison. But I didn’t know that at least one of them is “hidden in plain view” as a warehouse in Queens. Detainees are packed in and there is no recreation yard, just a room with the roof cut out. There is no excuse for mistreating people in detention. Ever. “We are still searching for injured,” said Sheriff’s Deputy Lt. Chris Walker. “We don’t know how many detainees were injured.” The riot broke out shortly after 1 p.m. “We are still investigating,” he said, adding it was unclear how the melee started. However, detainees who spoke with the Daily Journal said the riot broke out after a guard allegedly allowed some gang members into barracks.One person said several barracks were involved in the clash, and detainees were running for safety. Here’s the link to the rest of the article. This entry was posted on 23 April, 2008 at 8:31 am and is filed under Film, Issues. You can follow any responses to this entry through the RSS 2.0 feed. You can leave a response, or trackback from your own site. This looked like such a great movie from the trailer, and is on my list for Mom’s Movie Club (although I think we’re gonna end up seeing the light stuff like Baby Mama first). I’m so glad you recommend it!